t's the biggest single project we've ever done as a company, so we're putting a lot of planning and thought into it, making sure we do it right. Just before Michael LaLonde's interview for the position of chief financial officer at Deschutes Brewery 12 and a half years ago, he pulled two all-nighters working on his graduate degree, while working a full-time job and raising three kids. About a quarter of the way into the interview, he recalls, someone asked him if he'd like a cup of coffee. At the time, LaLonde thought he had bombed. "I told my wife, there's no way I'll ever work for Deschutes Brewery," he laughs. "Even when Gary (Fish) called me to offer me the job, I asked him if he was sure he was calling the right guy." It turns out, they did have the right guy. 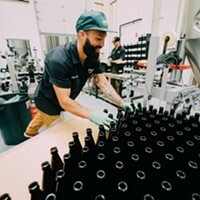 Since his hiring, LaLonde also has served as chief operating officer and president, and in June was named chief executive officer, a role long held by Deschutes' founder and chairman Gary Fish. What sold him to the Deschutes interview panel, LaLonde believes, was his previous 12 years' experience as the chief financial officer for the Salt River Pima-Maricopa Indian Community in Scottsdale, Ariz., where he juggled working with tribal elders and state and federal officials while overseeing the tribes' nine businesses. While there, he earned the nickname, "Diablo Blanco." LaLonde was born in South Bend, Ind., moving to Atlanta as an infant. He worked as a bartender, waiter, cook and dishwasher while earning a degree in finance from Georgia State University. o what's it like to sit in the top chair of one of the country's premiere private breweries? "It's a great job for a lot of different reasons," LaLonde says. From the beginning, the Deschutes philosophy, he says, has always been to be involved in the community and to give back to the community. He offers the example of the traveling street pub that toured seven cities across the U.S. in 2016 and raised more than $400,000 for local charities. LaLonde is also leading Deschutes in reducing its environmental footprint. Through a program with the Deschutes River Conservancy, the brewery leases irrigation water from area farmers so that excess water typically spent on fields can remain in the river. This enables a billion gallons of water to remain in the river each year, which is 14 times the amount of water the brewery uses, LaLonde explains. "One of our main goals is to reduce our water usage." LaLonde says the company promotes a strong culture among its employees so that they feel more engaged and that they can have an impact on the company. "I think that if they feel they can have some impact, then they will enjoy working here a lot more." Over the years, Deschutes consistently ranks high on lists of best U.S. companies to work for. As we walk through the cavernous brewhouse on Simpson Avenue, LaLonde greets employees along the way. 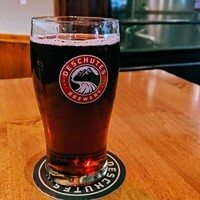 He says he is inspired to see Deschutes Brewery make "damn tasty beer" (the unofficial motto for which he is credited), "something that's exciting, very good and flavorful, that doesn't build up on the palate, but is balanced and not overwhelming." He says two of his current favorites are two recent additions to the Deschutes lineup: Pacific Wonderland Lager and American Wheat Ale. 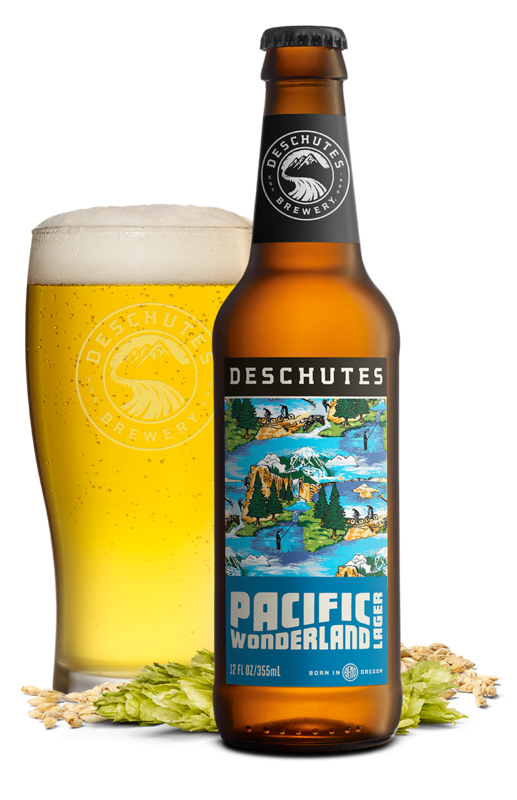 Pacific Wonderland Lager, a new Deschutes brew, is one of LaLonde's favorite beers. aLonde is also heavily involved with Deschutes' east coast expansion in Roanoke, Va., where there will be an Aug. 28 grand opening for its new tasting room. He tells about walking down the street there one day when a local shop owner came out to ask if he was with Deschutes. When he said yes, the woman just walked up and gave him a gargantuan hug. He says the Roanoke community is thrilled with Deschutes' imminent arrival. The brewery there won't be up and running for another few years, but LaLonde has spent considerable time there laying the groundwork. "It's the biggest single project we've ever done as a company, so we're putting a lot of planning and thought into it, making sure we do it right." And then, he adds, "There's no doubt my wife wishes that I were home more." Two of their kids are in college and another is a sophomore at Summit High School. In what spare time he can find, LaLonde says he loves fly-fishing and mountain biking. He also coaches lacrosse and says, "I have a dog that likes to be walked." Back at the production facility on Simpson Avenue, LaLonde says there are a lot of projects going on, including six new large tanks outside that are being prepped to go online. There's also a brand new pilot brewing system where brewers will experiment with different hops, malts and styles of beer, "all of them to be damn tasty," he adds. A new canning operation will fire up in the spring, although it's not yet determined which beers will roll off the line. And for the oldest brewery in town, it seems like there's always something new at Deschutes—like the two Tesla-dedicated parking spaces and two other electric car spaces outside the tasting room. Also outside the tasting room is a bicycle station with a permanent tire pump and tethered tools. When LaLonde started at Deschutes, he says there were only two other breweries in town: Bend Brewing Company and Cascade Lakes Brewing Company. Back then, he adds, everyone knew each other. Although the Bend brewing scene has exploded over the years, he says there's still plenty of cooperation and camaraderie. "It's a great community but it's competitive at the same time. 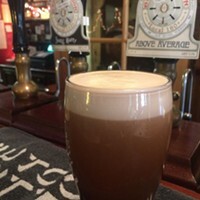 The innovation is amazing, creating new kinds of beer all the time. It's a very creative group."